My wedding anniversary gift from my wonderful wife. 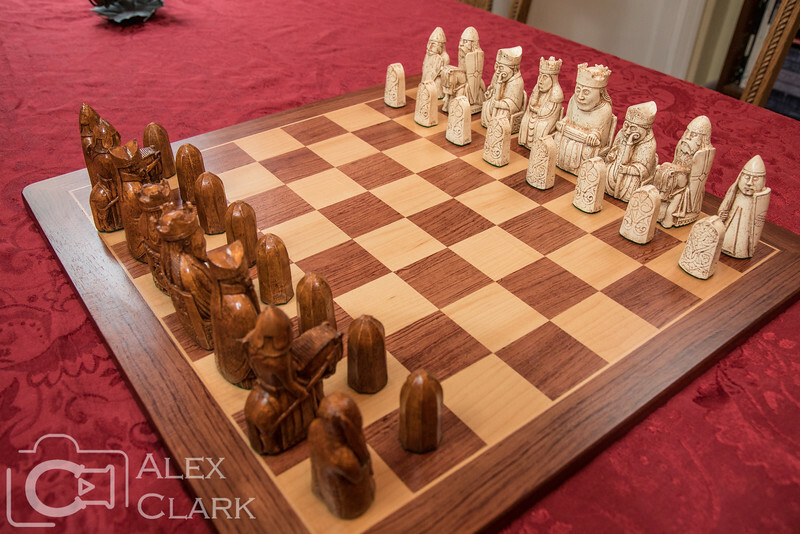 It is a full set of hand-crafted replicas of Lewis Chessmen on a wooden board. The originals are the oldest known chess pieces to depict human figures. They were found buried in a hoard on the Isle of Lewis in 1831 and were likely crafted in Trondheim, Norway sometime between 1150 and 1200 AD.